When your great grandfather performed symphonic music, your grandfather was a professional jazz drummer and your father recorded original music of his own, the only logical thing for you to do is become a librarian. Just making sure you’re paying attention. Clearly music would be in your blood and being a musician is less of an art and more of a calling. For Utah based Richard Tyler Epperson, there was a whole lot of musical energy packed tightly and ready to explode. Releasing it in the form of Falling Between The Stars the colors and array of sound is as attention grabbing as it is diverse. Teetering between the poppy/folky quirkiness of Lazlo Bane, the whispering tones of John Mayer and beats reminiscent of Phantogram it is hard to hold down one particular association with Epperson’s style. While this often leads to a distracting ADD-like feel, Falling Between The Stars ends up meshing very well together and by incorporating a range of style, finds a formula that works. The fourteen track record packs a wallop with the opener “At Your Door.” It is one of the better, catchy pop/folk tracks I’ve heard in quite a while. It is riddle with all the qualities of a hit. “Awake” draws on the Phil Collins “I Don’t Care Anymore” core beat but intertwines it with a Massive Attack-like approach leaving me wondering exactly what Epperson is trying to achieve; but at the same time feeling that whatever it is, I don’t care, just keep doing it. By the time you hit “Another Day” and “My Melody,” you know exactly what he is made of. Richard Tyler Epperson has a bluesy tone to his vocals that he uses in a rock approach and a sound that is solid as it is bold and riddled with layered brilliance. The talent he possesses in each strum, beat, and key is thick enough to satisfy the hungriest palate. The latter half of Falling Between The Stars settles down from the mix portrayed in the first few songs and rewards those who stuck around with an elegant alt-rock/alt-folk sound you would gladly call part of your collection. This is exactly the type of release I’d expect from such a musical linage. His family should be proud; his fans should be thrilled. 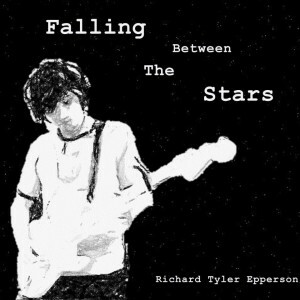 This entry was posted in Reviews and tagged album, alt pop, alt-rock, CD, Falling Between The Stars, music, review, Richard Tyler Epperson, stream, utah by Greg. Bookmark the permalink.